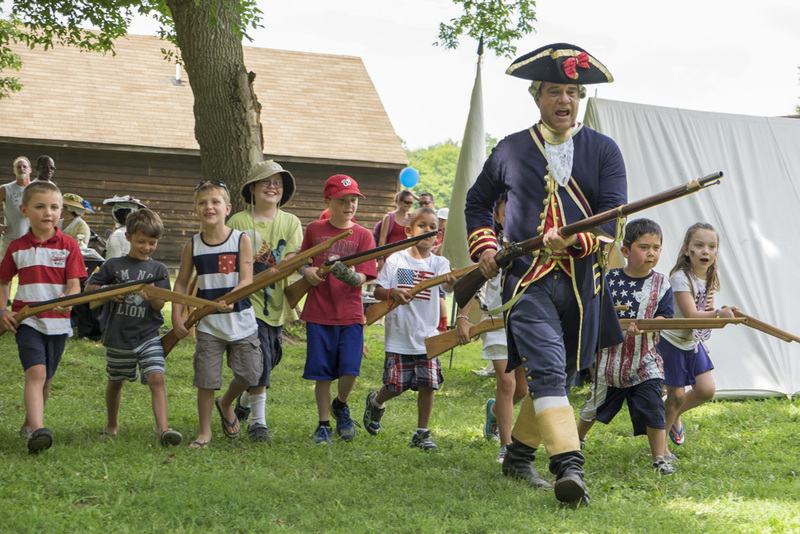 Young members of the Continental Army recreate a charge during Fourth of July at Ferry Farm! One year later, Adams prediction continued to bear fruit, as the infant nation celebrated its First Birthday. In Charleston, South Carolina, on July 4, 1777 “ringing of bells ushered in the Day” and “At sun-rise American colours were displayed from all the forts and batteries, and vessels in the harbour.” There was a parade of military troops and then “at one o’clock the several forts, beginning at Fort Moultrie on Sullivan’s Island, discharging seventy six pieces of cannon . . . and the militia and artillery fired three general vollies.” The new state’s leaders gave a banquet with thirteen toasts and “double the number [of guests] that ever observed the birthday of the present misguided and unfortunate King of Great Britain.” To end the day-long celebration, “the evening was concluded with illuminations, &c. far exceeding any that had ever been exhibited before.”. 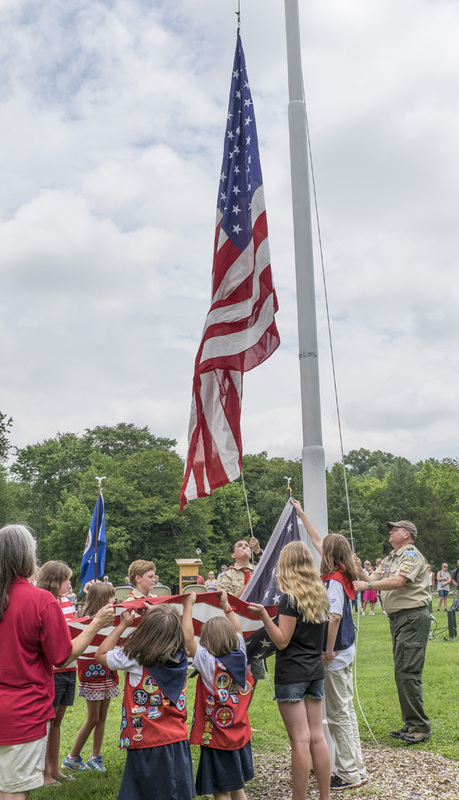 After flying for a year over Washington’s boyhood home, one U.S. flag is retired replaced with a new flag during the Patriotic Flag Retirement Ceremony at Ferry Farm’s Fourth of July celebration. 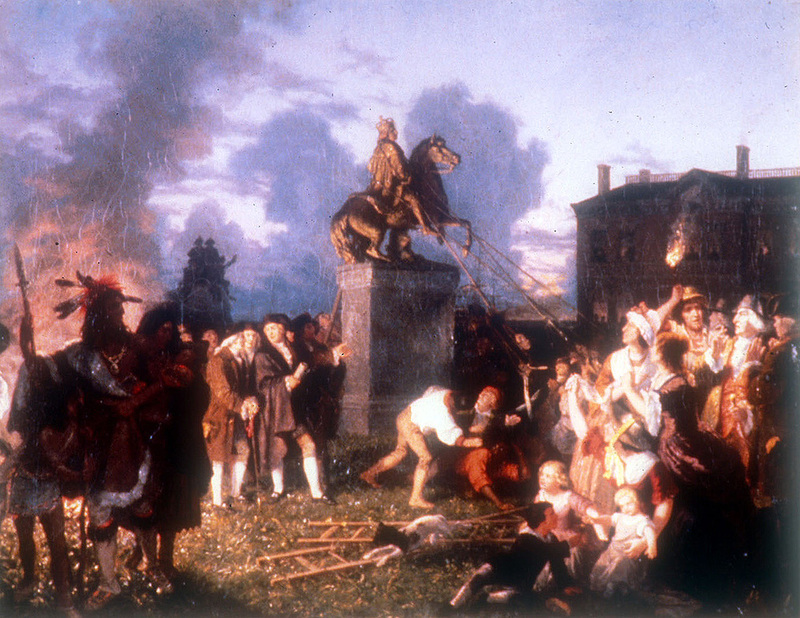 Whether in Virginia in 1776 or South Carolina and Pennsylvania in 1777, all of these acts of celebration were quite traditional and had been used for decades to celebrate the monarch’s birthday each year. In 1727, Willliamsburg marked the king’s birthday. More than two centuries later, we still celebrate the Fourth of July with decorations of red, white, and blue, ubiquitous American flags, military parades, cannon fire, large amounts of food, the enjoyment of spirited beverages, music, and fireworks. John Adams vision was far-reaching indeed! 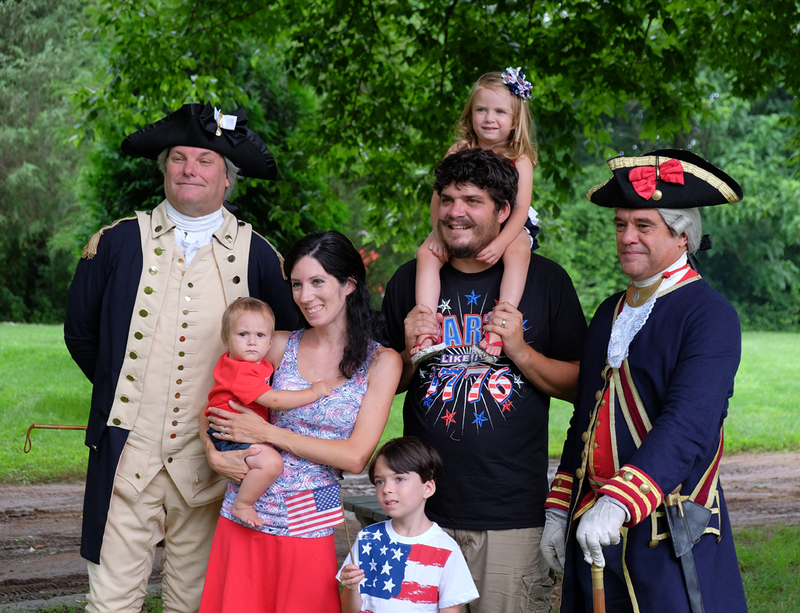 Celebrate Independence Day where George Washington spent his boyhood years! See more photos from last year’s Fourth of July at Ferry Farm here. This year’s theme, “We The People” focuses on The Declaration of Independence with a variety of activities and entertainment for young and old alike. Learn about archaeology at Ferry Farm, enjoy a patriotic flag retirement ceremony,interact with colonial and Civil War re-enactors as well as members of the Patawomeck tribe, listen to patriotic music, and participate in educational programs, crafts and games, and hands-on activities for the whole family. Visit kenmore.org/events.html to learn more. Shuttles will run between the Eagles Lodge and Ferry Farm. John Harrower, The Journal of John Harrower: An Indentured Servant in the Colony of Virginia, 1773-1776, edited by Edward Miles Riley, Williamsburg, VA: Colonial Williamsburg, 1963: xvi. Jane Carson, Colonial Virginians at Play, Williamsburg, VA: Colonial Williamsburg Foundation, 1989: 93.